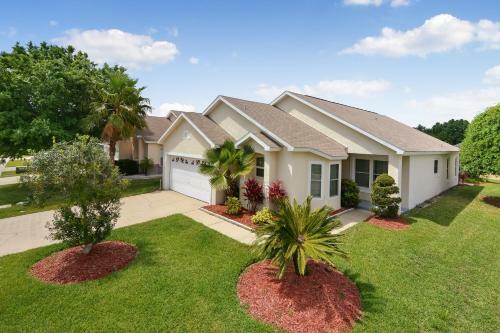 Ideal Vacation Home with private pool minutes to Disney in Kissimmee is a villa with 1 room. Ideal Vacation Home with private pool minutes to Disney offers accommodation in Kissimmee, 3.2 km from 192 Flea Market. It features free WiFi and an outdoor swimming pool. The villa features a flat-screen TV with satellite channels, a well-equipped kitchen with a dishwasher and an oven, and 2 bathrooms with a hot tub. Ideal Vacation Home offers a children's playground. The accommodation provides a terrace. Plaza del Sol Kissimmee is 4.1 km from Ideal Vacation Home with private pool minutes to Di...sney. Orlando International Airport is 32 km away. Ideal Vacation Home with private pool minutes to Disney offers accommodation in Kissimmee, 3.2 km from 192 Flea Market. It features free WiFi and an o...utdoor swimming pool. The villa features a flat-screen TV with satellite channels, a well-equipped kitchen with a dishwasher and an oven, and 2 bathrooms with a hot tub. Ideal Vacation Home offers a children's playground. The accommodation provides a terrace. Plaza del Sol Kissimmee is 4.1 km from Ideal Vacation Home with private pool minutes to Disney. Orlando International Airport is 32 km away. 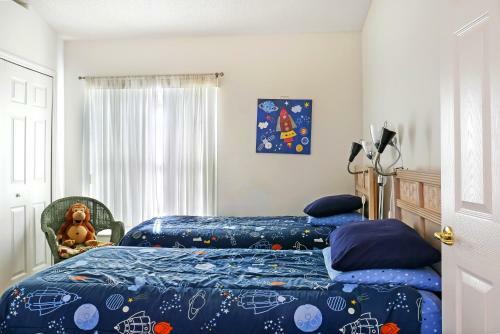 When would you like to stay at Ideal Vacation Home with private pool minutes to Disney? Guests are required to show a photo identification and credit card upon check-in. Please note that all Special Requests are subject to availability and additional charges may apply. This property will not accommodate hen, stag or similar parties. A damage deposit of USD 300 is required on arrival. This will be collected as a cash payment. You should be reimbursed on check-out. Your deposit will be refunded in full in cash, subject to an inspection of the property.